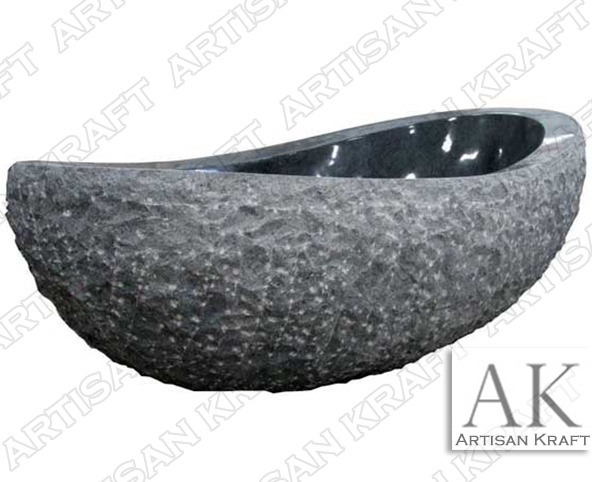 Chisled black marble double slipper tub with a polished interior. The rough, rugged exterior of the tub gives it a natural feel and look. Perfect for an exterior home spa or a tiled master bathroom. These are hand carved from a solid blocks of sandstone, travertine or granite. Custom dimensions available. Customize this for two! Other shapes are available. These freestanding stone bathtubs are a great option for outdoor spas.